So I have nothing better to do than make meatballs, Ina’s recipe and dream up a good salad to go with it, Caesar it is and since Caesar was a Roman politician I assume that the salad qualifies as an “Ina in Italy” recipe if not well the meatballs certainly do. You might have to play with the dressing ingredients to suit your own taste as I did, but in the end, it was a good salad with the roasted tomatoes and crispy pancetta for a bit of an updated version. Cut the pancetta into 1/2-inch cubes ( buy the packaged cubes) and cook it in a skillet over medium-low heat for 10 to 15 minutes, until crisp. Remove to paper towels and drain. Place the tomatoes on a baking sheet and drizzle with olive oil. Sprinkle with salt and pepper. Roast for 15 to 20 minutes, until soft. Wash lettuce leaves and dry. Stack the leaves on a cutting board and cut them crosswise into 1 1/2-inch slices. Place them in a large mixing bowl and tear into pieces. Dressing: place the egg yolks, 1/2 of the cheese, mustard, garlic, anchovies, lemon juice, salt, and pepper into the bowl of a food processor fitted with a steel blade. Process until smooth. With the food processor running, slowly pour the olive oil through the feed tube (as though you were making mayonnaise), until thick. Add the grated Parmesan cheese and pulse 3 times. Toss the lettuce with enough dressing to moisten well. 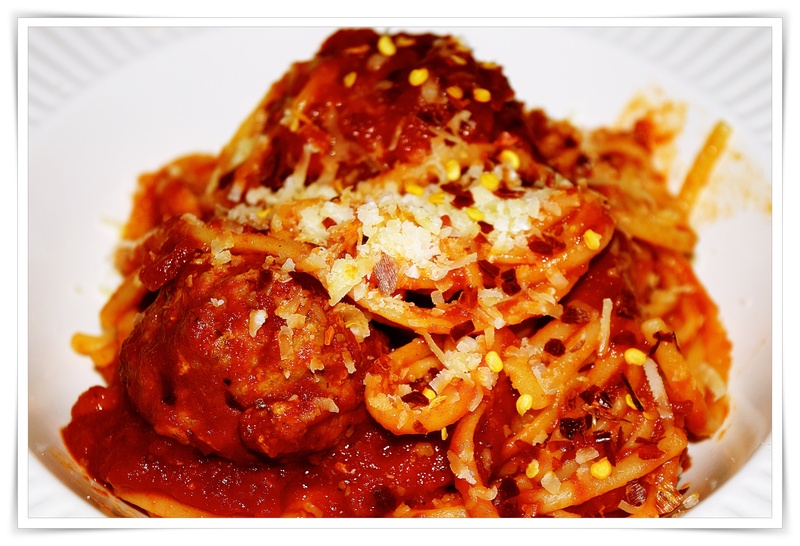 Add remaining grated Parmesan and toss. 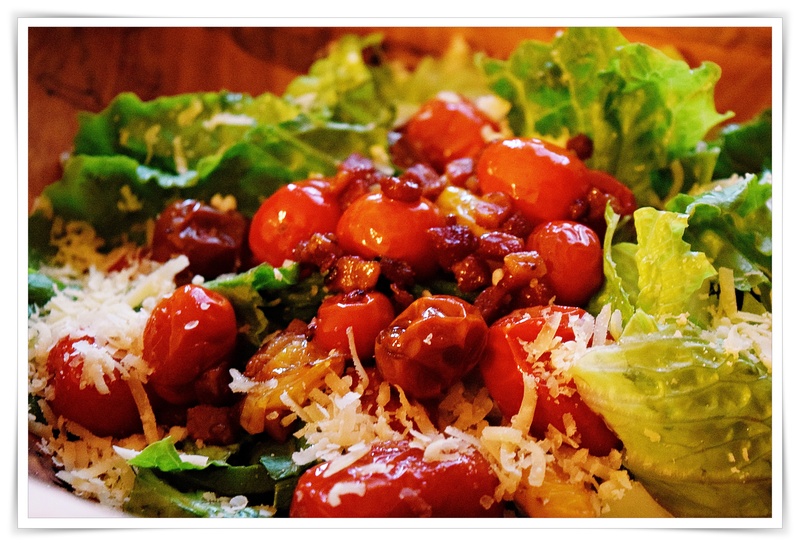 Divide the lettuce among 6 or 8 plates and sprinkle with the pancetta roasted tomatoes. Serve at room temperature.